Screenshots of the Dig-It application supplied by Michel Corey. Suzi Wilczynski, a Rochester-based former archaeologist and educator, wanted to find a fun way for students to learn and retain information without using textbooks or sitting in a classroom. After learning just about everything there is to know about game design, Dig-It Games came to life in 2010. The games that have already been released -- "Rowan Town," "Mayan Mysteries," "Loot Pursuit: Tulum," "Can U Dig It," "Maya Quiz," "Loot Pursuit: Pompeii," "3 Digits," "Wheatley Days" and "I Have A WordTM" -- are either puzzle, math, trivia or skills-based, often a combination of all four. "Mayan Mysteries" was actually the number one featured game in the US App Store for kids aged nine to 11. With a team of just 11 people, these games have been created with aesthetically pleasing design, interesting game concepts and have been enjoyed by parents and children alike. Natasha Martinez, along with a high school intern that joined the Dig-It team recently, lead the group with designing this game. "It was us two programming it, but it was mostly a company effort," Martinez explains. "Basically somebody comes up with an idea, they flush it out, give it to us, and we just make it and everyone comments along the way until we have a good app. I've learned a lot. I've taken a class on how to make iPhone games specifically so it was a big help to know the language." Martinez graduated with a degree in game design and development and couldn't have been more perfect for the job, having just earned her degree four months ago and already lead a group of game designers on an educational and entertaining app. The artist focuses more on the way it looks, the layout and how aesthetically pleasing the game is. Martinez and the rest of the designers focus on the tech part, the behind-the-scenes and knock-out all the kinks before it's released. Before being uploaded to the app store, there was one major kink the team worked through together. "Originally it was going to start out as vocabulary lists for seventh, eighth and ninth graders, like what they would have to learn how to spell throughout the year, and that turned out to be really difficult because the words were long usually," Martinez explains. "So we decided to change it up and make the word list much shorter. Easy difficulty is four to five letters and then it slowly gets to longer words for higher difficulty." Now that "I Have A Word" has already been released, what's in store for our recent graduate? Developing games for kids, and educational ones to boot, are something she'd love to stick with. "I always enjoyed learning math and reading from my old school computer games," Martinez recalls. "I hope that schools can use that more readily in the future and bring classes for these children into the tech revolutionary world." 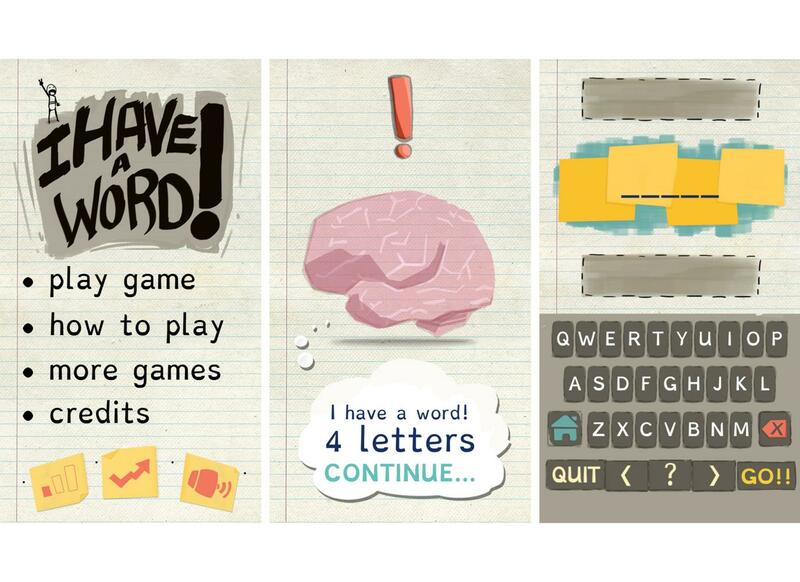 You can check out "I Have A Word" on any app store for Apple products and see for yourself what the word is all about!